An estimated 30 million dogs and an unknown number of cats enter the meat trade every year making it arguably one of the most severe companion animal welfare issues in Asia. Motivations differ in each country where dog and cat meat is consumed. For some, dog meat is viewed to be an inexpensive protein source or cultural dish while for others, the meat is believed to have medicinal benefits. As pet ownership rises and dogs and cats are viewed more as members of the family rather than food, the trade is causing a considerable amount of societal discontent and a growing opposition to the trade. Large numbers of dogs and cats are stolen from their owners, snatched from the streets, sourced from farms, transported long distances and inhumanely slaughtered. Investigations have documented the severe cruelty in all stages of the dog meat trade including sourcing, transport, sale, and slaughter. Dogs are typically caught with iron pinchers or makeshift metal lassos. Once captured, dogs and cats are transported for many hours or even days. They're packed tightly in cages without food or water and many die during the journey due to suffocation, dehydration, and injury. Following transport, dogs and cats are slaughtered either at a restaurant or market. Slaughter methods vary between countries but typically include being beaten with a metal pipe, stabbed in the chest with a large knife, burned alive, or electrocuted. These methods of torture are typically done in full view of other animals awaiting slaughter. As a member of the Dog Meat Free Indonesia Coalition, we call on the Indonesian government to ban the trade and slaughter of dogs for human consumption. A Threat to Human Health! The dog and cat meat trade is the only trade known to encourage the mass movement of unvaccinated companion animals domestically and internationally. This movement undermines local rabies control efforts and violates recommendations from prominent human health organizations. The slaughter and consumption of dogs and cats poses a risk to human health in the form of disease transmission, notably rabies, cholera and trichinellosis. Research has discovered an alarming number of rabies-infected dog and cat meat being sold at restaurants, slaughterhouses, and markets. To stop this horrific trade, FOUR PAWS is a member of several dog and cat meat coalitions in Vietnam and Indonesia. FOUR PAWS also operates programs throughout Southeast Asia to promote animal welfare, support local charities and improve the regional capacity for tackling this trade. 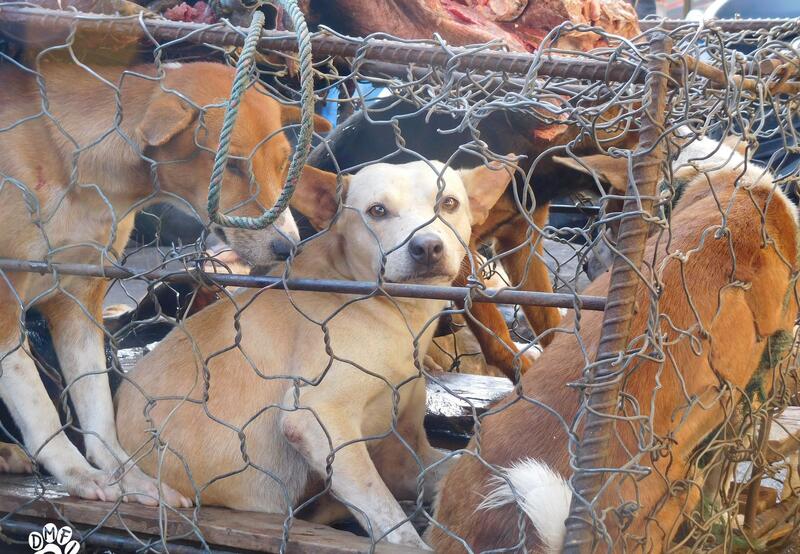 An estimated 5 million dogs and over 1 million cats fall victim to the dog and cat meat trade every year in Vietnam. The Asia Canine Protection Alliance is an international alliance of animal protection organizations committed to ending the illegal trade of dogs in Vietnam. ACPA is working to build collaborative relationships with the governments throughout Southeast Asia where the dog meat trade is prevalent. ACPA has already secured a moratorium on the trade in dogs between Thailand and Vietnam. Additionally, Vietnam’s Department of Animal Health has issued a directive to stop the illegal import of dogs. Every year in Indonesia, millions of dogs are brutally collected and transported throughout the country for the dog meat trade. The majority are stolen family pets which are illegally trafficked to slaughterhouses and markets. 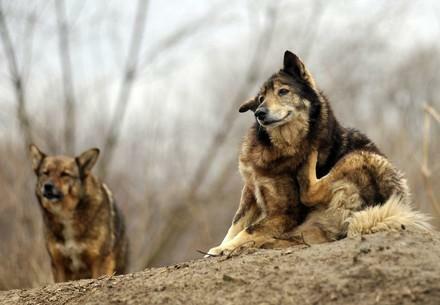 Their legs and muzzles are frequently bound so tightly that they can’t move or breathe, and are driven on extremely long journeys throughout the country to supply to local markets. FOUR PAWS and the Dog Meat Free Indonesia Coalition is calling on Indonesian President Widodo to protect cats and dogs from the cruelty associated with this trade. In light of the animal welfare and public health concerns, FOUR PAWS strongly condemns the dog and cat meat trade and supports legislation aimed at banning this inhumane and dangerous practice. FOUR PAWS recognizes the issue is complex, and that ending the trade requires a genuine understanding of the situation on the ground in specific locations and a multi-pronged approach.